With a continuous tradition spanning more than two millennia, funerary texts from ancient Egypt offer an excellent data set for studying how compositions were composed and passed on in the ancient Near East. Clear evidence demonstrates the importance and mechanics of scribal copying in the transmission process. What remain less clear are the methods by which new compositions were created. In some cases, the accretion of scholia, commentary, and exegesis produced new versions of old texts. This is well illustrated by the continuum between Coffin Text (CT) spell 335 and Book of the Dead (BD) spell 17. In other cases, however, large collections appear in writing for the first time showing few hints at the earlier stages of their production. This is true for the Pyramid Texts (PT), whose pre-written forms can only be hypothesized. Fortunately, fragmentary steps from conception to textualization are partially preserved for a relatively little studied corpus from Roman Period Egypt, sometimes known by the title the Demotic Book of Breathing. Despite clearly representing the final stage in the PT-CT-BD tradition, scribes did not create this composition by copying from its predecessors. Instead, a new composition was crafted without direct parallel. In addition, the new text was never fixed, as fifty separate exemplars attest to a core set of formulae that could be added to, subtracted from, or rearranged at will. The variance in this corpus reflects a growing trend toward multiplicity in similar funerary manuscripts from Greco-Roman Egypt. A portion of this variance can be demonstrated to derive from an active oral tradition and it is this oral tradition, I will argue, that provided the raw material for new compositions such as the Demotic Book of Breathing. 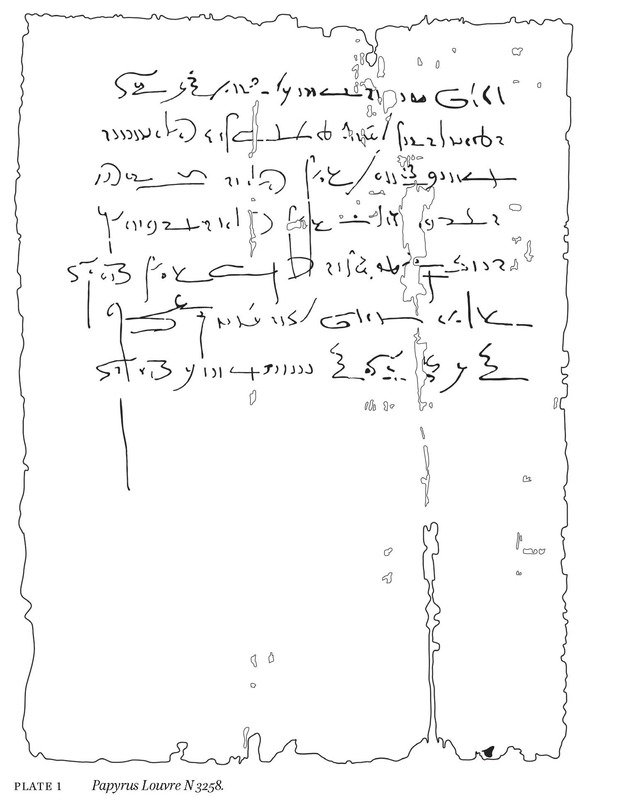 This paper will therefore address how textual traditions began by looking at the very end of funerary literature in ancient Egypt. Read the entire article online from Brill.